A programmatic and digital marketing specialist with 8 years's experience in media, agency and brand ICT companies. Expertise in marketing intelligence and ICT commercialisation in Mainland China, within Marketing,MBA and Computer Science education background. Used to work for Daikin NZ, Fonterra venture and several ICT corporations based in Mainland China listed in Hong Kong sharemarket and NASDAQ. 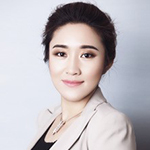 Founder of a successful start-up agency called Enjoydata specialising in programmatic advertising services and e-commerce solutions, based in Beijing.